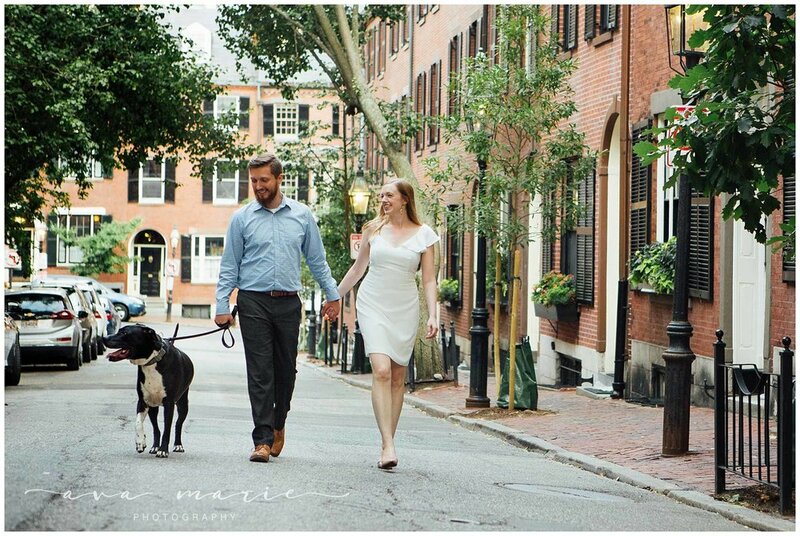 In late June I met Erin and Ryan in Boston for their Beacon Hill Engagement session. I met Erin on the first day of 6th grade and we were instant friends. That summer I had just moved from Arlington, VA to New Hampshire. I believe the teacher paired us together so Erin could show me around those first days. We spent most afternoons after school together that year and during middle school. We've remained close during every phase of our lives. We often hung out with different groups of friends and we went to different colleges. She'd make trips to see me in Keene and I'd visit her at UNH. After Erin graduated she moved to the Boston area and has lived in various apartments around the city. I've been able to visit each new place to indulge in an occasional night here and there. 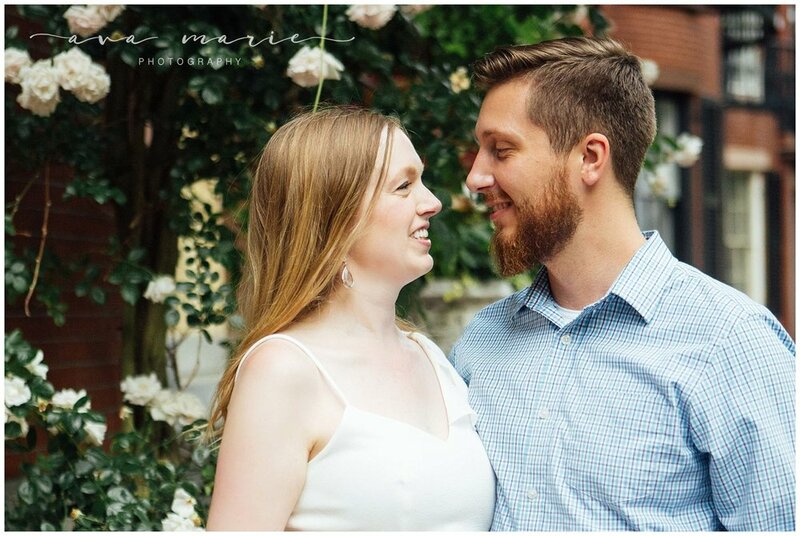 Erin met Ryan in Boston and they've been dating since 2013. They took a trip last September to Vienna where Ryan popped the question. I was overwhelmed with happiness when Erin asked me to be her MOH and I can't wait for next weekend's wedding festivities. A weekend of "glamping", family and friends, tasty food and drinks, and a little goat yoga are ahead.